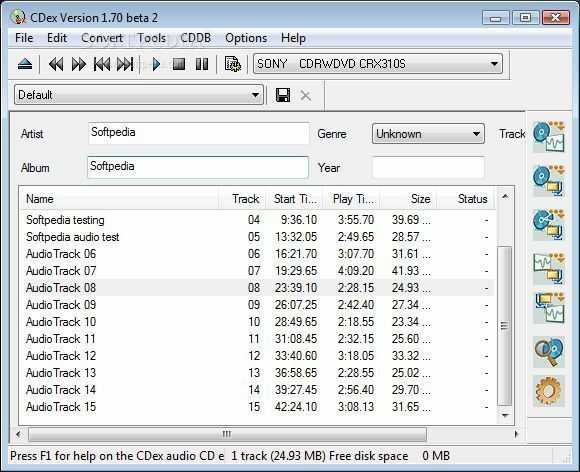 CDex is a great freeware and Open Source CD ripper. It comes bundled with the Lame MP3 encoder and OGG Vorbis encoder, and provides support for various other encoders. CDEx is loaded with nice features such as CDDB query, automatic file naming, ID3 field completion and ID3V2 tag format as well. It is also capable of converting WAV files to MP3 and vice versa. CDEx is also one of the few secured ripping. It's CDDA Paranoia read mode insures that you get good & clean rips and works wonders on scratched discs. When it comes to CD ripping, CDEx does it all. CDEx along EAC are the finest rippers available.